Class I forklifts consist of “Sit-Down Electrics”. And, as the world becomes “greener”, electric forklifts are the future. 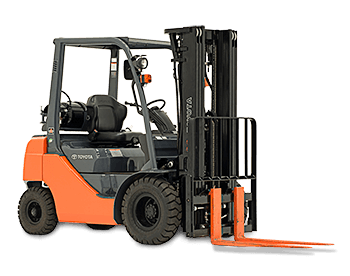 Powered by an industrial battery, Class I forklifts emit less emissions and are good for food distributors and in general, all air conditioned warehouses. 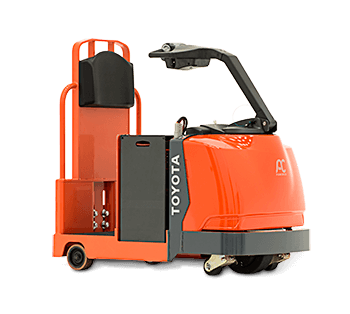 They’re available in 3-wheel & 4-wheel models with cushion or pneumatic (air) tires and lifting capacities from 3,000 lbs on up. 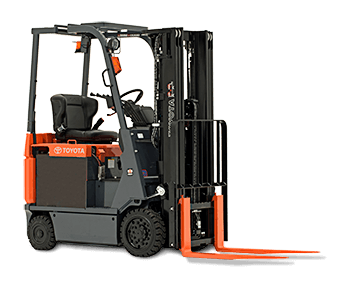 Class II forklifts are electric forklifts that allow the operator to stand-up, which is good for operations that require the driver to get on & off the forklift a lot, or when the operator needs to be more “hands on” with the product. They can also operate in smaller spaces, and are commonly referred to as “Narrow Aisle”. 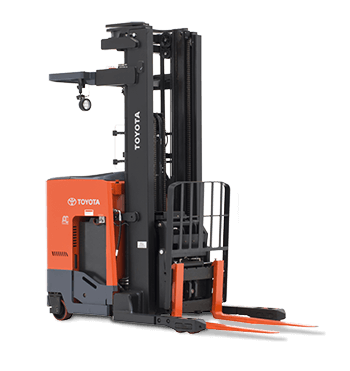 Class II forklifts consist of the “Stand-Up Rider”, the “Reach Truck” (which allows the forklift to “reach” forward for product) and the Order Picker, in which the operator is in position to “pick” product from shelves at different heights. They’re available in lifting capacities from 3,000 lbs and up. 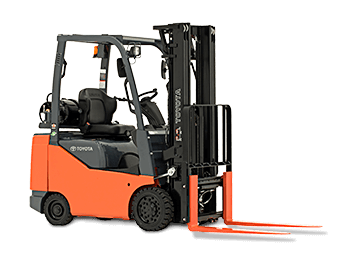 Class III forklifts allow the operator to walk behind or ride with power, controlling the forklift with an electric powered steering arm. 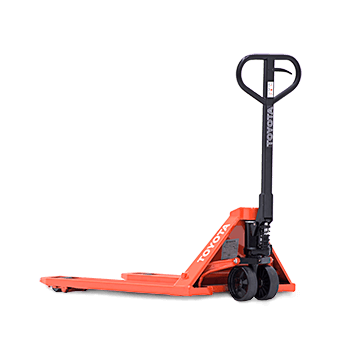 These forklifts are commonly referred to as “Electric Pallet Trucks” and are available for lifting 3,000 lbs and higher. Some models are available for towing purposes. Class IV forklifts are your standard sit down models. They run on LP Gas, gasoline or dual fuel. Class IV forklifts have cushion tires, which are hard tires best for warehouse operations. Non-marking tires are available when necessary. 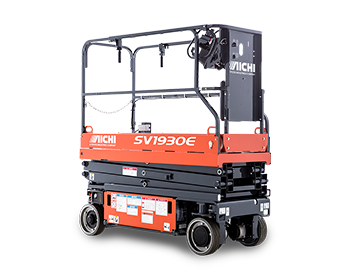 These forklifts are available for lifting capacities from as low as 3,000 lbs to 15,500 lbs. 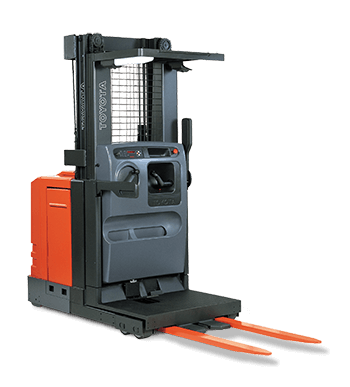 Class V forklifts are the standard sit down models with pneumatic (air) tires. They run on LP gas, gasoline, dual fuel or diesel. They can also be purchased with “solid” pneumatic tires. These forklifts are good for various outside operations from farming to outside lumber yards. 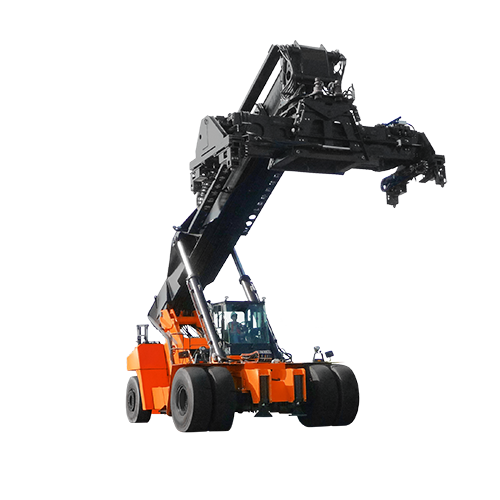 They are available for lifting anywhere from 3,000 lbs to 92,000 lbs! Class VI models are tow tractors. You may recognize these as the vehicles pulling your luggage at the airport. There is even Class VII which relates to all-terrain available in 2-wheel and 4-wheel drive. Which forklift is pictured above? 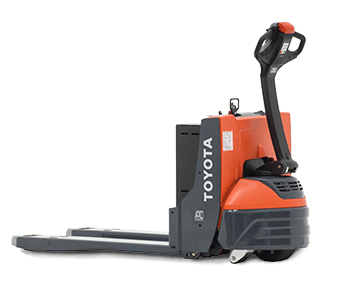 That is the newest Class I, 8 series forklift from Toyota! This 4-wheel electric pictured has a 4,000 lbs lift capacity. Currently offered with special pricing and even better financing opportunities! It’s always good to have a basic understanding of a product before you start the buying process. But rest assured, when you need a forklift, our knowledgeable sales team will be happy to explain the different applications and will work with you to find the best forklift for your operation!